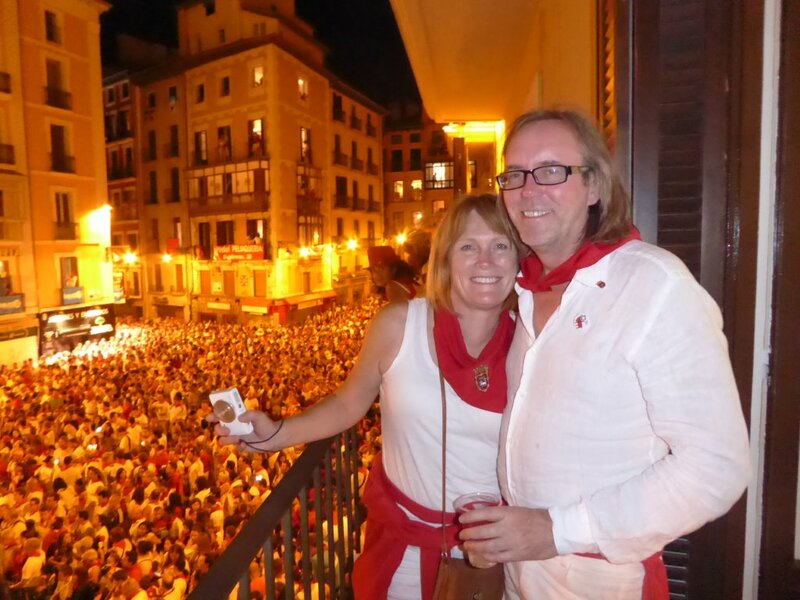 Watch the collective sadness of a town that doesn’t want to end the festivities unfold on the night of the 14th of July from the comfort of a strategically located balcony with sweeping views of Town Hall Square! Enjoy the spectacular singing of El Pobre de mí (“Poor or Pitiful me”) safely and without feeling rushed. 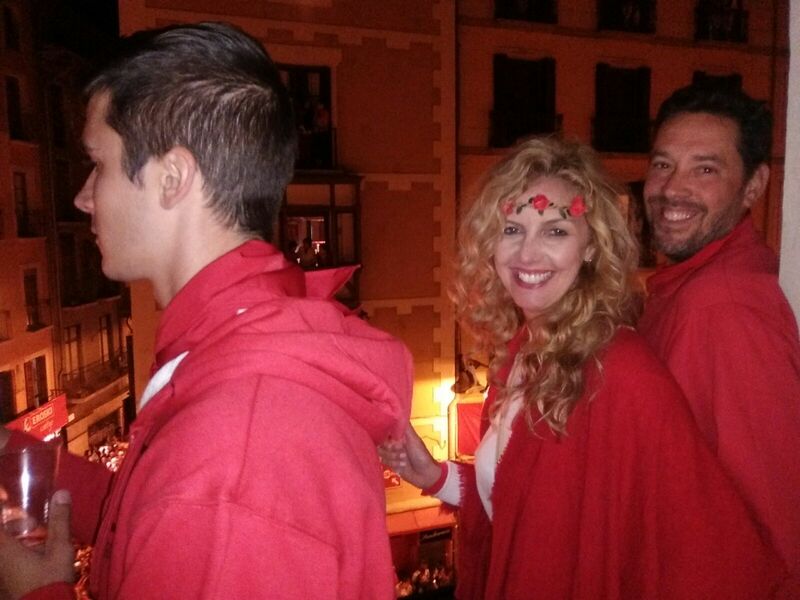 Bid San Fermin farewell with us from one of our exclusive . 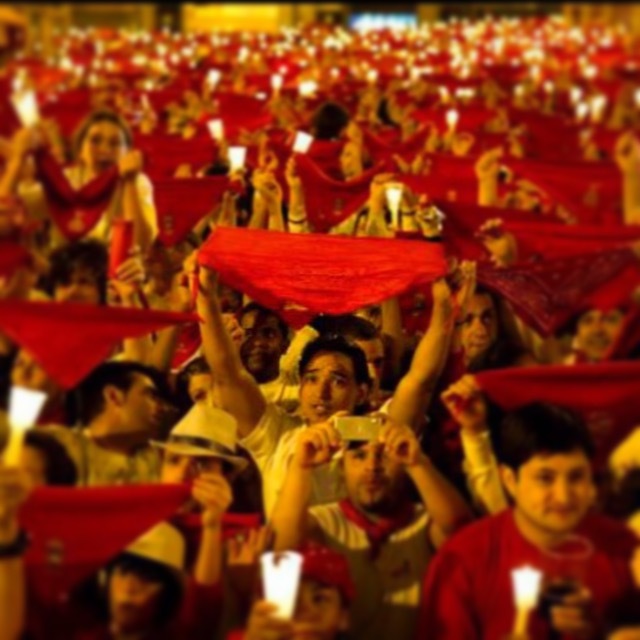 Watch thousands of people remove their red neckties, blow their candles off at midnight, and come to terms with the fact that San Fermin is over with us. A scintillating, spine-tingling even you need to live and capture from one of Pamplona Fiesta’s comfortable balconies. Although the main entrance to the apartment is located in Santo Domingo Street the road will only be open for the runners at that time. We will access the apartment through the back door located in Number 12, San Saturnino St. You will notice the entrance is located next to a big mural of the roman goddess Diana the Hunter. Under the mural there is a big pharmacy. The entrance to the apartment is through an alley. You have to go through the gate to reach the entrance. We will come to meet you at the gate at 7:30 am. Please make sure you arrive promptly at the gate at 23:00am.